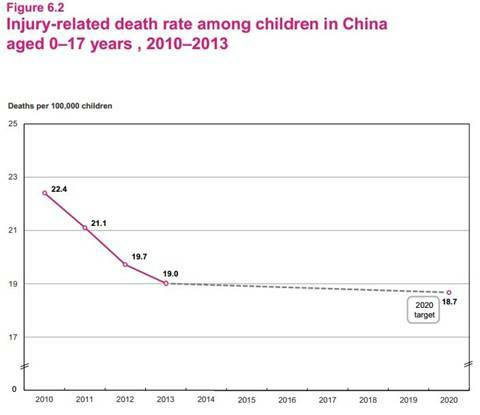 In China, it is estimated that over 10 million children under 18 years of age are injured each year, and child injury has risen to become the leading cause of death and disability among children beyond the newborn period, exacting a heavy toll on families and society as a whole. Globally, injury and violence are responsible for about 950,000 deaths per year among children and young people under the age of 18, with unintentional injuries accounting for almost 90% of these deaths. Each year in China, more than 50,000 children die from drowning, traffic accidents, accidental suffocation, falls, poisoning and other accidents. Between 2004 and 2005, drowning was the leading cause of injury death among children aged 1-14, while road traffic accidents were the leading cause of injury death among children aged 15–17. Annually, 80% of injured children require hospitalization or medical attention, and for every child fatality caused by injury, another three children are permanently disabled. Children from rural areas or low-income families are at the highest risk of injury, and the risk of accidental death is significantly higher among children who are left behind in rural areas when parents migrate to cities for work. Injury-related deaths were also significantly more common among boys than girls. 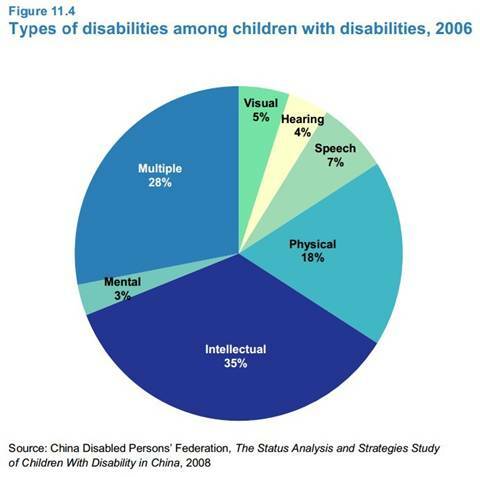 The UN Convention on the Rights of Persons with Disabilities, enforced in China in 2008, is aimed at promoting, protecting and ensuring the full and equal enjoyment of all human rights and fundamental freedoms by all persons with disabilities, "those who have long-term physical, mental, intellectual or sensory impairments, which in interaction with various barriers, may hinder their full and effective participation in society on an equal basis with others", and promoting respect for their inherent dignity. 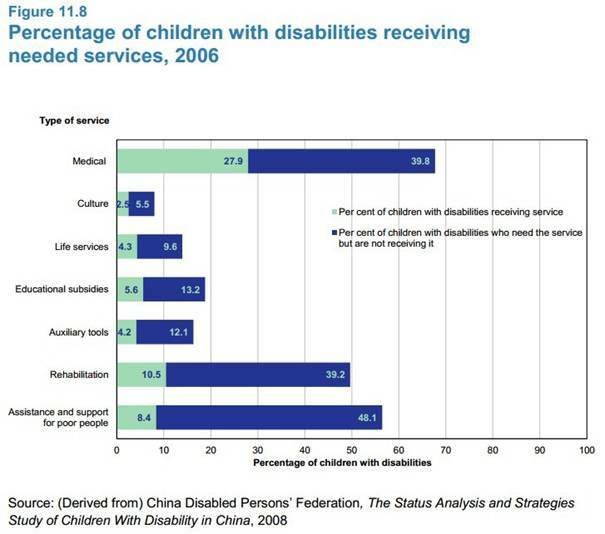 Children accounted for 6% of all people living with disabilities; this translates to approximately 5 million children in China living with some kind of disability. The Second National Sample Survey on Disability sampled 2,526,145 people, including 616,940 children below the age of 18 years. China Disabled Persons' Federation (CDPF) conducted national follow-up monitoring surveys on the situation of people with disabilities annually since 2007.